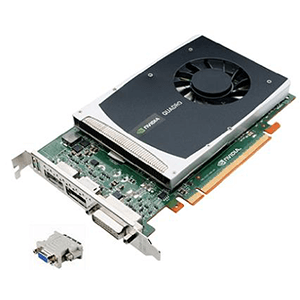 The CARD AMD FIREPRO V5900 professional graphics packs a huge punch in a single slot solution, making it the perfect solution for professionals working with a broad range of applications, moderately complex models and datasets, and advanced visual effects. 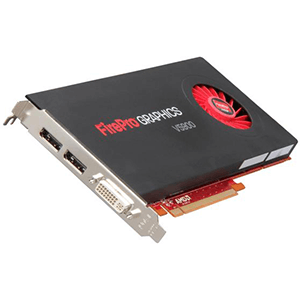 The CARD AMD FIREPRO V5900 features 2GB of blazing-fast GDDR5 memory, 512 stream processors, and support for three simultaneous monitor outputs from a single AMD FirePro V5900 graphics card with AMD Eyefinity technology. AMD EYEFINITY TECHNOLOGY PLUS DISPLAYPORT 1.2With the revolutionary multi-display technology, the CARD AMD FIREPRO V5900 supports three independent displays, delivering the most immersive graphics/computing experience with innovative display capabilities supporting massive desktop workspaces. Support for the newest DisplayPort 1.2 standard adds exciting new features such as high bit-rate audio, higher data bandwidth, and multi-streaming capabilities. GEOMETRYBOOST TECHNOLOGYUnleash your creativity with the new hardware architecture that provides ultra-high geometry performance and ensures smooth handling of complex models. 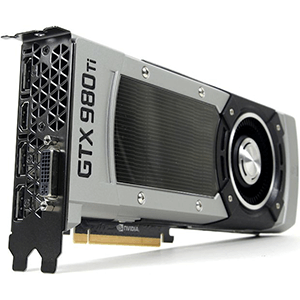 AMD POWERTUNE TECHNOLOGYThis state-of-the-art power management technology provides direct control over GPU power usage. Applications enjoy ultimate performance with dynamic clock optimization, while keeping your workstation energy-conscious and helping to conserve electricity when it isn’t needed. FULL 30-BIT DISPLAY PIPELINEThe full 30-bit display pipeline enables more color values than 24-bit products for more accurate color reproduction and superior visual fidelity. CERTIFIED APPLICATIONSThe certification of AMD FirePro professional graphics solutions assures professional engineers, designers and animators that the AMD FirePro professional graphics line delivers a stable and high performance workstation graphics environment on both Windows and Linux platforms. AMD FirePro professional graphics are certified for: Engineering and Design (CAD/CAE/AEC), Digital Content Creation (DCC) & Digital Media, Geographical Information Systems (GIS) & Visualization, Life Sciences and Oil & Gas. INDUSTRY-LEADING API SUPPORTFull Shader Model 5.0 support helps create highly complex geometry and scenes without taxing the CPU. 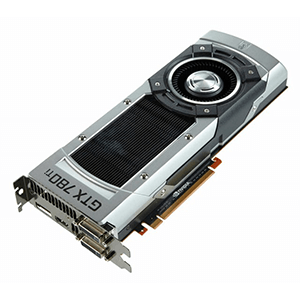 DirectX 11 and OpenGL 4.1 advanced features enable optimal performance in leading applications. 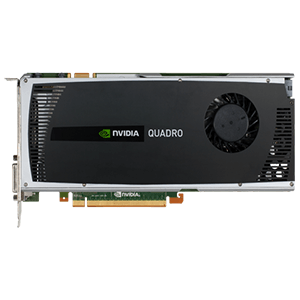 Support for industry standard OpenCL 1.1, an open, multiplatform development platform, helps enable broad adoption of heterogeneous computing.